£1,000, which is deducted from your tuition fees. Do you accept late scholarship applications? No, you must ensure your scholarship application and all supporting documents are submitted by midnight on the specified deadline date. Can I apply before I receive an offer from the University? Yes. You can apply prior to receiving confirmation of an offer from the University. However, a decision on your scholarship application will not be made until you are holding an offer from us and we have confirmation of your degree results. I am entitled to the Alumni loyalty reward for postgraduate study, can I still apply for the professoriate scholarship? No. If you are in receipt of the alumni reward, you will receive the alumni reward discounted from your tuition fees. University policy states that students are only eligible for one discount, usually the higher amount. For further details, and contact information, please review our alumni discount policy. If I decide to defer my study to the following year, can I also defer my scholarship? No, if you choose to defer your studies you will have to re-apply for the scholarship for the intended year of study. I am studying part time, how will the scholarship be deducted from my tuition fees? You will receive £500 deducted from your first year tuition fees and the remaining £500 will be automatically deducted from your second year tuition fees. The value of each scholarship is £1,000 and the full amount will be deducted from the students’ tuition fees. The scholarship is not available to those in receipt of the University of Plymouth Alumni Loyalty Reward. The scholarship is not transferable beyond the year in which it was originally awarded. It is granted for the upcoming academic year and cannot be deferred under any circumstances. Students studying part time will receive £500 deducted from their first year tuition fees and will automatically receive the remaining £500 deducted from their second year tuition fees. All applicants who hold a valid offer from the University of Plymouth to study within the Faculty of Business are eligible to apply. Applicants must hold a UK bachelor degree with a 2:1 or higher classification. In order to meet academic criteria of the scholarship all non-UK qualifications will be considered on their UK equivalence. Applicants will be ranked according to the level of their academic achievement and the information provided in the personal statement. Additional information to support an application will be taken into account on a case by case basis. Scholarship applications and related paperwork must be received no later than midnight on the final date of application in order to be considered. Late or incomplete applications will not be considered. The applicant is responsible for ensuring all required information is supplied. Both successful and unsuccessful applicants will be notified of the outcome of their application in writing within 28 days of the closing date. Feedback is only available on request and is at the discretion of the Head of School for your chosen programme or their nominated representative. 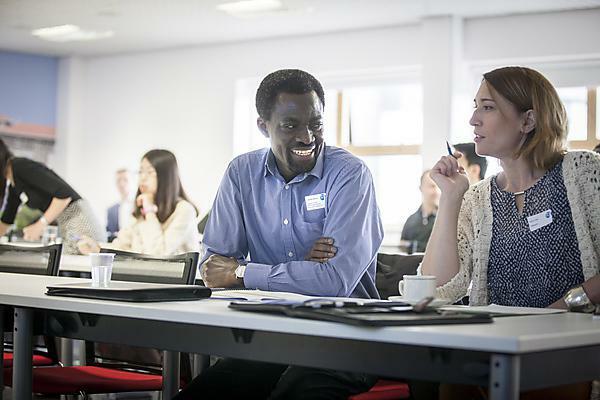 The opportunity to apply for a Professoriate Scholarship is available to all home and EU applicants who intend to study any postgraduate course within the Faculty of Business. Applicants must hold a UK bachelor degree with a 2:1 or higher, or a certified equivalent if awarded from an overseas institution. Applicants must be able to prove their academic eligibility prior to a scholarship being awarded. You can apply for a Professoriate Scholarship prior to receiving your graduation results, but a final decision on your application will not be made until your final transcript has been submitted for consideration.